So, the time has come. I'm laying it out here at FED and Hawk & Badger. I'll probably pimp my warez on some of the Steam forums but not right now. My name is Franz Felsl, I worked at PopTop during most of it's existence; as well as other places too. While the other places are important, I'm going back to my roots, or at least trying too. Strategy games. A hated and unaccepted word by most large publishers. Some of you guys have talked with me before while at PopTop and others since. I've been milling the idea to do a spiritual successor to RRT series for a long time and now's the time for my friends and I to give it the old college try. I say SPIRITUAL SUCCESSOR because I'm not cloning RT and I have no rights to the title. I only claim the right to want to play a good railroad game. If I can't play one, I have to try and build one. I've heard others here say that before too so I know I'm not alone. Our team has started a new company called Combine Games and the game Rails & Riches. It's only a PREVIEW, some more art is coming to replace a few things. However the information is there and it will give you a pretty good idea of what we'll be doing. We're hoping to get it up live next Wednesday 27th. Yeah, we need a lot of money but we're trying to be real honest and upfront about it and what we plan on doing. We're not new at this and what it costs is what it costs. We'll see how the chips fall. If you want to put money in at the Kickstarter, great! That's not the main reason I'm here however. I'm here to ask your help in spreading the news however best you can. The railroad gamer community is pretty connected even if it's not a huge online presence and we'd love to have you let your contacts know we're around. Feel free to shoot me some questions, Like us at FB and let publishers know you're here. Hmm, I havn't kept up to date with railroad games, I think I only remember recent ones being simulators (similar to Euro Truck Simulator). But not like RRT2 with economies and stock markets. Too bad I don't do any of the social media stuff nor have I ever used Steam. Good luck anyways! So we went live this morning on Kickstart. Please check it out if you haven't yet. Even if you don't want to back the project, would be awesome if you visited. I missed this thread back in May/June (was working overtime then), I'm back to "between contracts" now. If the project is alive somewhere, I'd be interested in participating as a developer. Also see my Open RT2 Wish Lists thread (if you haven't already). 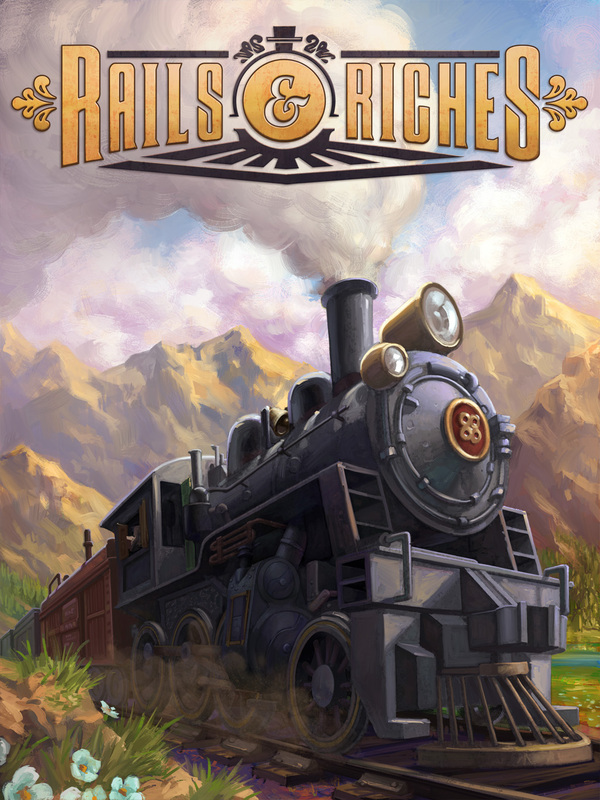 PS: I like the title "Rails to Riches". Sounds like "Rags to Riches", but also implies building toward a destination.